Mikao Usui was born on the 15 august 1865 in the small village of Taniai in the Yamagata district in Kyoto. He probably came from a wealthy family as at the time only children from wealthy families could get a good education. Whilst finishing his studies at traditional Tendai Buddhist monastery Usui also mastered Samurai swordsmanship and different martial arts. He was interested in different types of medicine, energy healing and religions, reading widely on all subjects. It seems that he was looking for a deeper spiritual connection, something he had apparently read in ancient texts. He studied and traveled to western countries and China several time to study their medicines and disciplines and, as was encouraged during the Meiji Era, to learn and study Western ways. 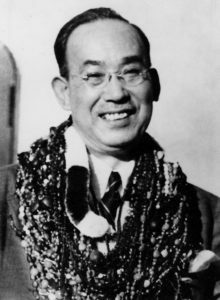 Mikao Usui’s career seems to have been rather diverse including many different professions such us public servant, office worker, reporter and for a while, private secretary for a politician called Shinpei Goto who eventually became mayor of Tokyo in 1920. At some point in his life Usui intensified his quest for spiritual understanding and became a Buddhist monk (or more what in the west we call a lay priest) at Tendai and Zen temples in Kyoto for about three years, after which he retreated on Mount Kurama, where he began a severe discipline of fasting and meditation for a period of twenty-one days, almost bringing him on the brink of death. On the last day of his meditation Usui experienced what is called Anshin Ritsumei, a type of enlightenment in which one is continually in a state of supernatural peace, when he suddenly saw a bright light around him, saw ancient Sanskrit symbols, and felt for the first time a great sense of oneness and energetic connection. On his descent from the mountain he hit his toe, but when he placed his hands on it the pain disappeared. Puzzled he kept walking down his path until he met a woman that appeared to be in great pain, and after asking her permission Usui placed his hands on the aching area. Once again the pain disappeared. 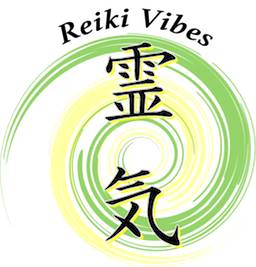 By accident it seems, alongside his spiritual awareness, Mikao Usui found out he had acquired the ability to channel Reiki energy and facilitate physical healing. After this event, in April 1922, Usui opened his first school/clinic in Tokyo where he started to teach his method for self discovery and spiritual growth while offering healing sessions at a relatively cheap price or even for free. 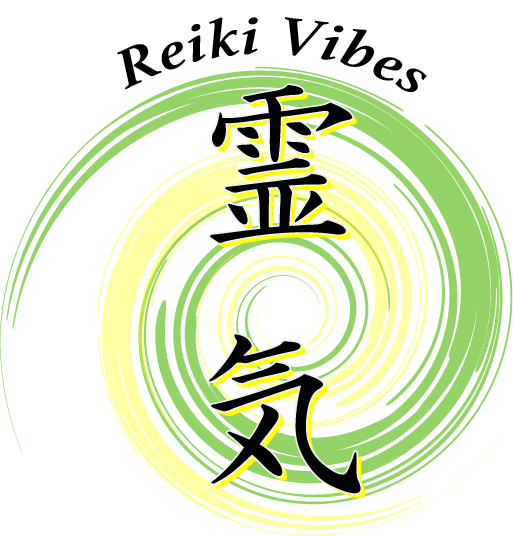 His main teachings were focused on self development and how to heal yourself first, as continues today in the First Degree of Reiki, before to be able to heal the others. 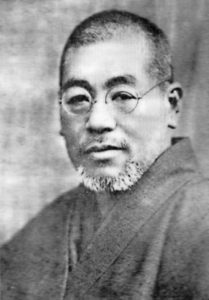 By the time of his death, 9th march 1926, Usui had trained around 16 Reiki Masters to ensure his system would live on, one of them was Dr. Hayashi. and seems that he began to make alterations to the original teachings, with the blessing of Usui. Dr.Hayashi went on to develop the Usui system of Reiki, he opened a clinic in Tokyo, and kept detailed records of all treatments given. He used this information to introduce additional hand positions to cover more of the body, and altering the attunement process. By the time of his death Dr. Hayashi had trained about 13 students to became Reiki Master. Two of them were Chiyoko Yamaguchi, that preserved the original teaching in Japan, and Mrs Takata, the person that brought The System of Reiki to the west. Mrs. Chiyoko Yamaguchi learned Reiki when she was just 17 years old, and she thought it until her death in 2003.
to perform attunements and everything about the Third Level of Reiki. exactly what she had learned, that had proved so invaluable all her life. when her husband died in October 1930 leaving, Mrs. Takata to raise their two children. Japan on a family matter, and decided that whilst there, she would visit a Japanese hospital for treatment. 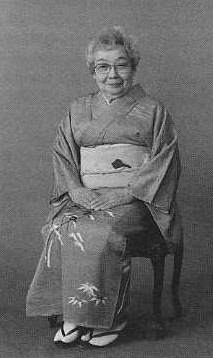 In 1935 Mrs. Takata arrived in Tokyo and was told that her condition was very serious, and is when she refused to have her operation, that she came in contact with Dr. Hayashi ’s clinic and she began receiving Reiki treatments. She received treatments twice a day and in four months she was completely healed. Impressed by the result she wanted to learn Reiki, so in the spring of 1936 Mrs. Takata received Reiki First Degree, and after working with Dr. Hayashi for one year she received Reiki Second Degree. 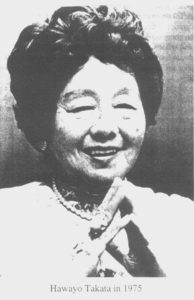 She now returned to Hawaii and practised Reiki regularly over the next two years until 1938, when Dr. Hayashi visited her, and attuned her to Reiki Master. Due to world war II and the fact that in that period all things coming from Japan were seen as hostile, it said that Mrs.Takata altered the teachings of Reiki to be more acceptable for the West. Between 1970 and her transition on the 11th December 1980 Mrs. Takata initiated twenty two Reiki Masters. These 22 teachers have taught others and there are now thousands of Reiki Masters around the world and the Reiki Lineages grow longer every day, making this fantastic method of self realization and energy healing the fastest growing system being taught in the world today.